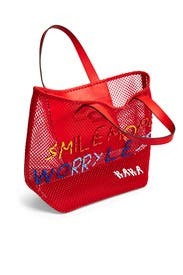 Woven with optimism, this vivid tote by Anya Hindmarch is perfect for summer travel. 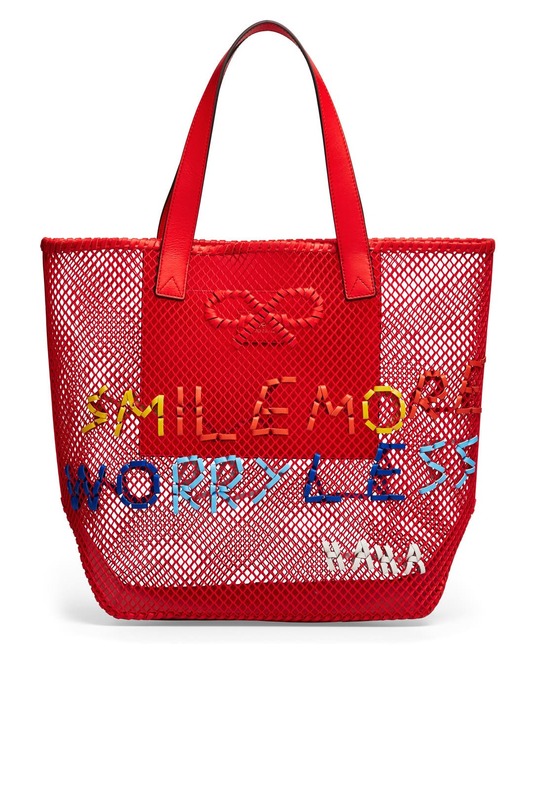 Red mesh and leather woven tote with multi embroidered "Smile more worry less" phrase. Open top and sheer body. 18.5"H x 13.8"W x 6'D.